Reading game | Mrs. Anton's Class! 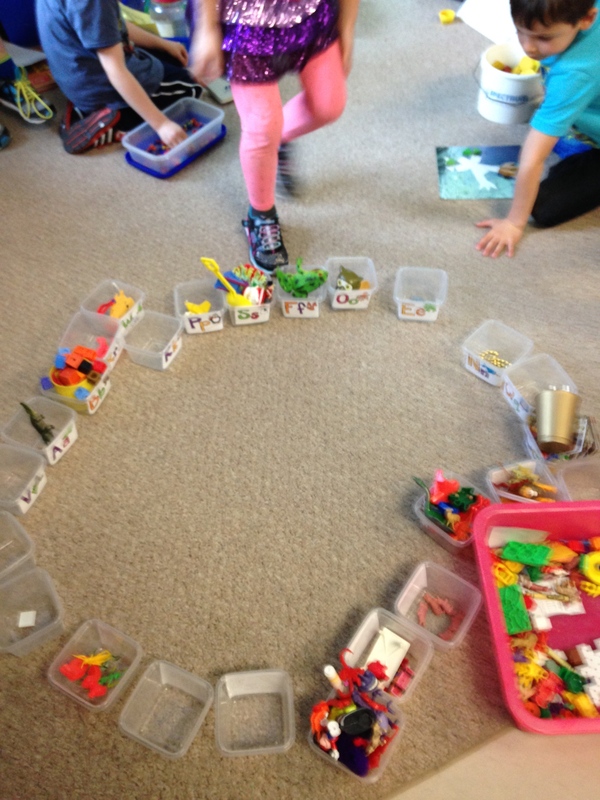 We have an activity bin in our classroom that we call Sound Sort! It is a bin full of lots of little things that children seem to like. 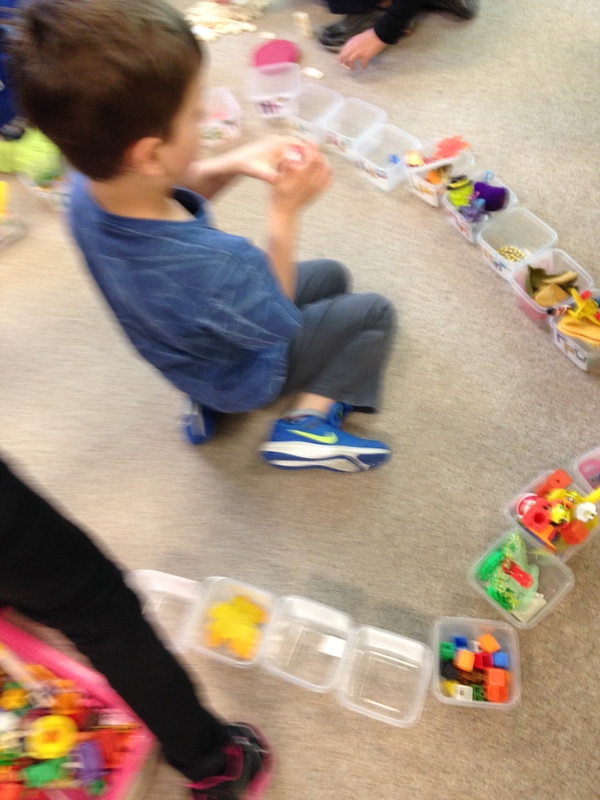 The object of the bin is to sort all of the objects into the correct letter tub that matches the beginning sound of the object. 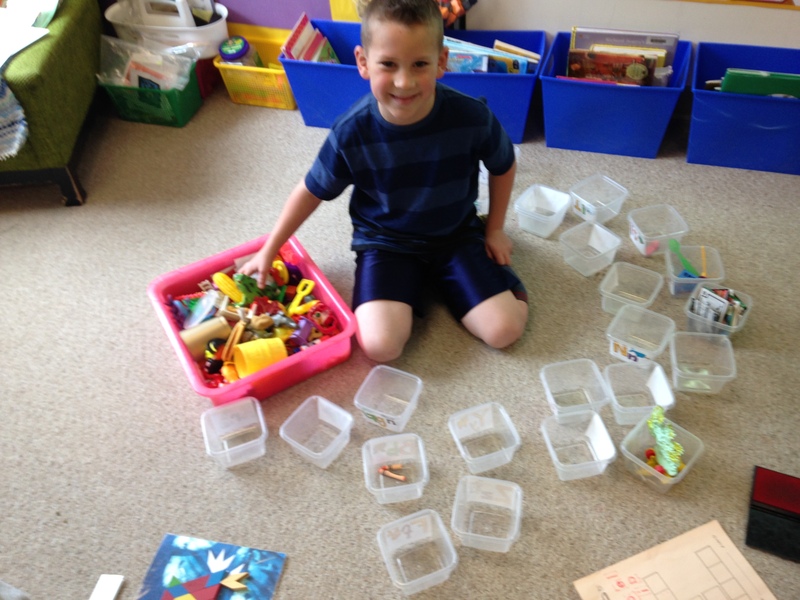 I happened to mention that last year someone had sorted all of the items into the bins and we had finally seen the bottom of the bin! I guess that was a bit of a dare! 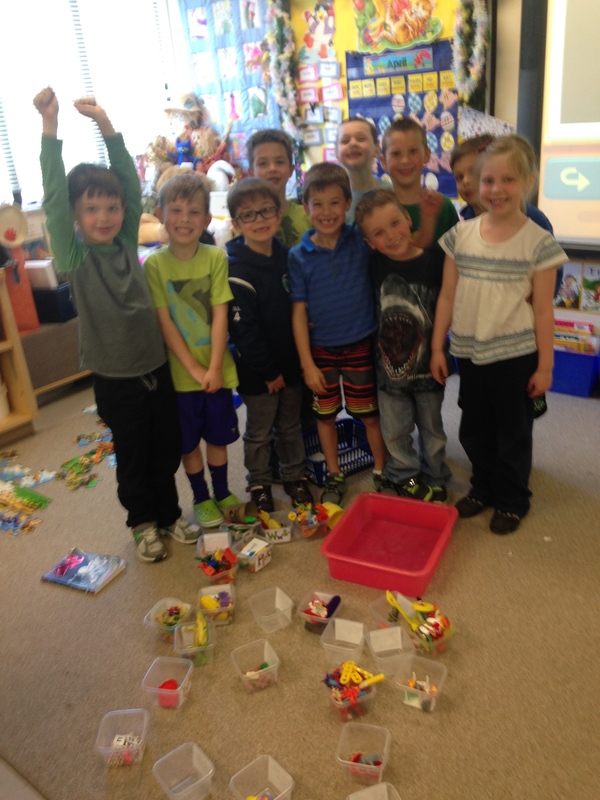 A group of students started trying to sort all the objects and see if they could see the bottom of the bin! 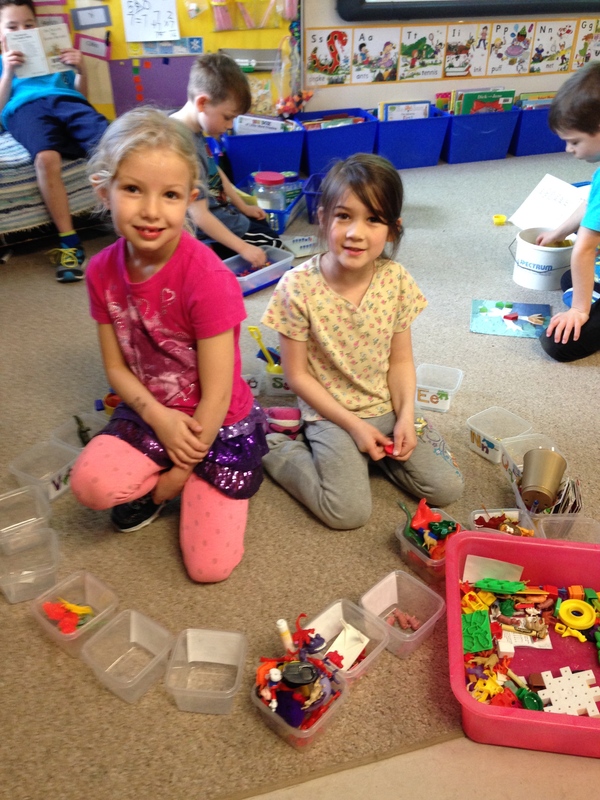 We decided to leave the bin out and lots of students started helping! When we finally got everything sorted we had to take a victory picture!